Field labels usually do a good job of helping users fill in a form accurately. Sometimes, additional information needs to be provided to the user to help them record the appropriate data. In these instances, you can use ‘Field Descriptions' to provide users with additional guidance. Store auditors are required to capture certain information in a structured way using dropdowns, checkboxes and radio buttons. In addition to structured data collection, auditors use memo fields to collect additional information. 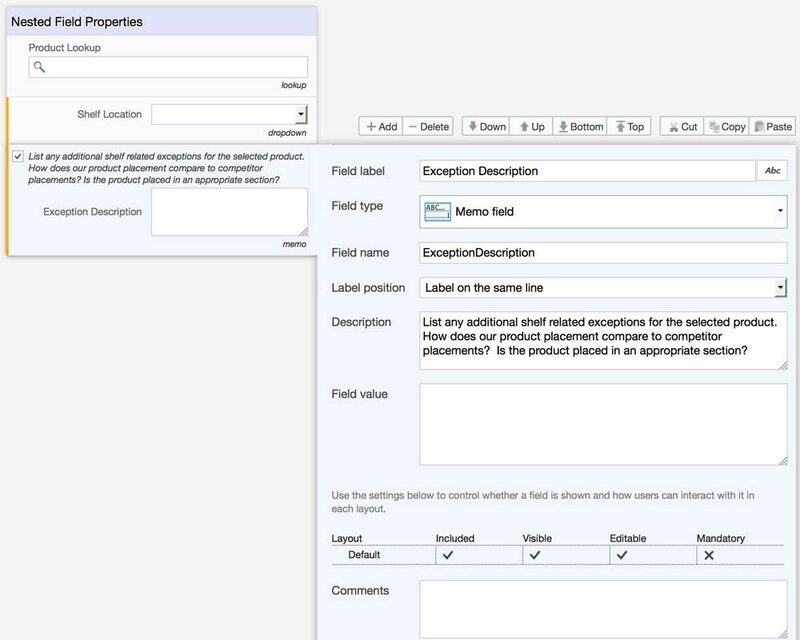 Field descriptions are used to provide things that the auditor should consider when filling in the free-form field, while not restricting the data they can enter.